Join us live September 16th, 2016 at 2:00 pm CST!! 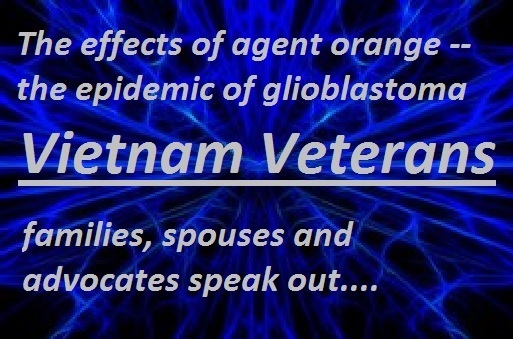 The use and effect of agent orange on our military while serving in Vietnam is still with us today as veterans from this era succumb to numerous deadly diseases including diabetes and cancer. 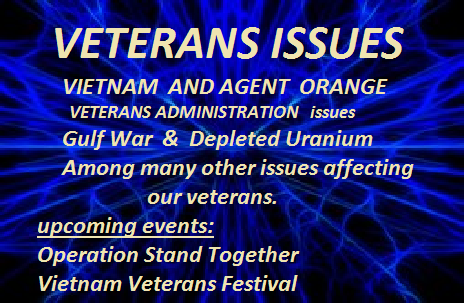 Dr. Trewyn has been in the forefront of the battle to expose the long range effects of the use of agent orange and to answer questions many people don’t want asked. The correct first question that should have been asked (but never was): Are Vietnam veterans suffering from adverse health conditions that individuals who didn’t serve in Vietnam are not? If they are, what caused the health problems is much less important than knowing the problems are service-connected. The 25-year, $140+ million Agent Orange Ranch Hand study started out to evaluate whether the herbicides sprayed in Vietnam caused adverse health outcomes for those involved in the spraying, but it devolved into analyzing whether dioxin, a minor contaminant in some herbicides sprayed in Vietnam, caused adverse health outcomes. Join us September 2, 2016 at 10:00 a.m CST! Mokie Pratt Porter, the Director of Communications for Vietnam Veterans of America, has been with VVA since 1985. From 1992-2007, she held the position of editor of The VVA Veteran, assigning hundreds of articles on the myriad issues facing America’s veterans. She has attended several sessions of the World Veterans Federation; has taken 14 trips to Vietnam in her capacity as the staff coordinator for the Veterans Initiative Task Force, VVA’s veteran-to-veteran effort to assist the Vietnamese with their MIA accounting effort, with the hope of engendering reciprocal cooperation in the accounting of missing Americans; and has made three trips to Ukraine to meet with Vietnam veterans of the former Soviet Union who have been forthcoming with records of downed American aircraft. Currently she is initiating the “Faces of Agent Orange,” an effort to educate the American public by putting a human face on the generational impact of Agent Orange/ Dioxin and other battlefield exposures. Ms. Porter is the co-editor of Inside the Pentagon Papers, an oral history of those who participated in the leaking of these secret documents. She is the recipient of VVA’s highest award, the Commendation Medal, as well as the Chapel of Four Chaplains Legion of Honor Award; AVVA President’s Award, and Veterans Against Drugs Commit to Life Award.